An NHL trailblazer, the man that ushered in unprecedented growth and the best statistical goalie in the game's history headline the Hockey Hall of Fame's class of 2018. TORONTO — An NHL trailblazer, the man that ushered in unprecedented growth and the best statistical goalie in the game's history headline the Hockey Hall of Fame's class of 2018. 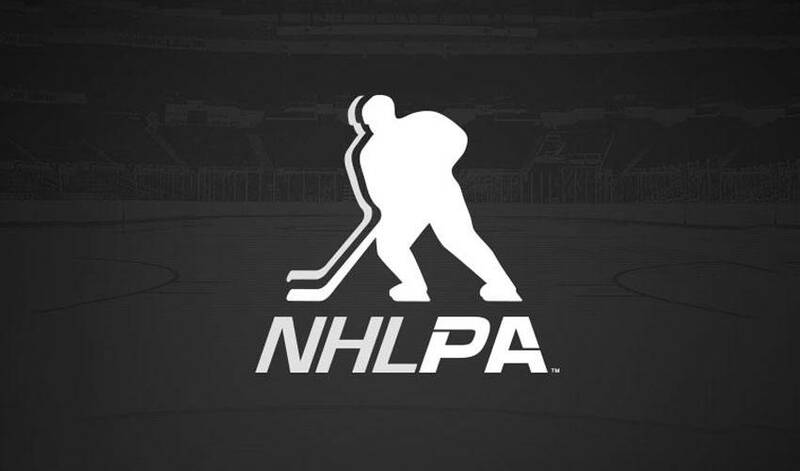 Willie O'Ree, the NHL's first black player, and league commissioner Gary Bettman will enter in the builder category, while former New Jersey Devils netminder Martin Brodeur sits at the top of the list of the four individuals set to be inducted in November for their on-ice skills. "I was literally speechless," Bettman said on a conference call of his initial reaction to the news. "I was really focused on whether Willie O'Ree was going to be selected. "I'm delighted Willie is going to be going in, and I'm delighted to be going in with him." Also getting the call are five-time NHL all-star Martin St. Louis, Canadian women's star Jayna Hefford and Russian great Alexander Yakushev. O'Ree will be the third black player in the Hall, joining Edmonton Oilers goalie Grant Fuhr and Canadian women's national team captain Angela James. The 82-year-old from Fredricton, N.B., was called up by the Boston Bruins on Jan. 18, 1958, making him the first black player in league history. O'Ree, who had a long career in the minors, played only 45 games in the NHL, but returned to the fold in 1996 as an ambassador. He has been instrumental the NHL's Hockey is for Everyone program that introduces the game to children that might not normally see a path in the sport, while the league established the Willie O'Ree Community Hero Award this season. "I was laughing and I was crying," O'Ree said. "I'm just so happy that I'm alive to be able to share this. "There's not enough words to say how pleased I am." Since Bettman was named commissioner in 1993, the NHL has grown from 24 to 31 teams with some US$5 billion in annual revenue. "I'm proud of the fact that at the league level and the club level there are hundreds if not thousands of people that are committed to and have been working very hard to grow the game," Bettman said. "There are more people now involved in hockey, watching hockey, fans of hockey, not just at the NHL level, but at all levels." Brodeur is a three-time Stanley Cup winner, a four-time Vezina Trophy winner, a five-time winner of the Jennings Trophy, and is the NHL's all-time leader in victories (691) and shutouts (125). "It's an exciting time," he said. "You play your whole career and you don't expect to get this phone call, but when it does, it definitely does feel pretty good." The 46-year-old played 1,259 regular-season games with the New Jersey Devils before a brief seven-game stint with the St. Louis Blues, where he transitioned into the front office prior to becoming an assistant general manager. "Everybody dreams to play for one franchise and stay there your whole career, and I lived that dream for a long, long time," Brodeur said. "(By joining the Blues) I was able to have an idea of what's going on outside of my little bubble there in New Jersey. "I was really grateful for the opportunity to do that, but at the end of the day, New Jersey is where I played my whole career and this is what I'm going to retiring with the jersey on, that's for sure." St. Louis went from not being drafted to a 17-year NHL career that included 1,134 regular-season games and 1,033 points. He won the Stanley Cup with the Tampa Bay Lightning in 2003-04 and was on Canada's men's Olympic team that won gold in 2014. He won the NHL's Hart Trophy as league MVP in 2004 and is on of just six undrafted players in league history with 1,000-plus points. "When you retire and people start associating your name with the Hall of Fame my view was always respect the process," said St. Louis, 43. "For me to join the great players that are in now is unbelievable." Standing just five foot eight, St. Louis was let go by the Calgary Flames in 2000 before catching on with the Lightning. He said being told he was too small to make it spurred him on during tough times. "When people tried to discourage me along the way, that's just life," St. Louis said. "I definitely used that as a motivation in trying to prove people wrong." A giant in the women's game, Hefford won four Olympic gold medals for Canada during her illustrious international career. "I'm certainly proud and honoured to be inducted alongside these great men," she said. "It's quite a class." Yakushev starred for USSR at the 1972 Summit Series against Canada. Elected to the International Ice Hockey Federation Hall of Fame in 2003, he won Olympic gold in 1972 and 1976. "We were lucky enough to get ahold of him in Russia," Hockey Hall of Fame chairman Lanny McDonald said. "He was actually playing a game of hockey with all his buddies — 71 years old and still playing." Former players Martin Brodeur, Martin St. Louis, and Willie O'Ree get their call to the hall alongside Gary Bettman, Jayna Hefford, and Alexander Yakushev. Most of Martin St. Louis' time these days are spent at a rink with his hockey-playing sons. So much so, that the first NHL game he attended since he retired was last week in Tampa Bay. The 16-year veteran played in 1134 regular season games with Calgary, Tampa Bay & New York, capturing the Stanley Cup and the Lester B. Pearson Award in 2003-04. Two of the game's most respected leaders, Martin St. Louis and Ryan Callahan, made headlines across the sporting world on Wednesday, when the two captains were traded for one another.